Leaders of the watch and watchmaking industry discuss the latest trends, challenges and opportunities they face at the Hong Kong International Watch Forum, which got underway on the opening day of the HKTDC Hong Kong Watch & Clock Fair, the world’s largest event of its kind. The forum’s first session, Market Updates and Industry Trends, will be followed by a second gathering about Challenges & Opportunities in Watch Manufacturing. Speakers offering a European market viewpoint include Patrice Besnard, Director General of France’s Chambre Française L’horlogerie; Dr Jean-Daniel Pasche, President of the Federation of the Swiss Watch Industry FH; and Dr Guido Grohmann, CEO of the Federation of German Jewellery, Watches, Clocks, Silverware and Related Industries. Representing Asia’s perspective will be Dae-Boong Kim, Executive Director of the Korea Watch & Clock Industry Cooperative; Ichiro Kubo, General Manager of the Japan Clock & Watch Association; and China Horologe Association Deputy Director General Hongguang Zhang. New smartwatch technology will be a major focus, according to Mr Kim of the Korea Watch & Clock Industry Cooperative. He said multifunction features connected to smartphones via WiFi or Bluetooth are constantly developing to provide news and investment updates, do fitness tracking, record distances and GPS locations. 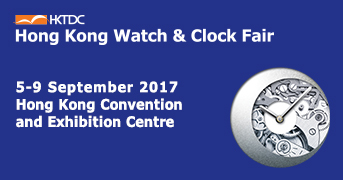 Representing the Swiss industry, Dr Pasche will explore how Hong Kong still accounts for approximately half of all Swiss watch exports. At a separate seminar, he will also discuss attempts to strengthen the Swiss brand, and how a 10 per cent slump in worldwide sales last year has prompted new regulations to restrict “Swiss-Made” labelling. France, the historic birthplace of the mechanical watch and clock industry, will be represented by Mr Besnard of Chambre Française L’horlogerie, who will discuss the revival of traditional clock designs. Speaking ahead of the Forum, Mr Besnard said fashion watches for women and stylish items for the young millennial market are also leading the French industry forward. He said many young brands are distributing almost exclusively online, and noted that France meanwhile is reinforcing its own national brand identity and image. The country is creating a hub of the industry around Besançon. Mr Kubo of the Japan Clock & Watch Association said it is critical to “harmonise business with social circumstances” and react to “current culture”. He cited as an example how Japanese animators are creating characters, which, in an era digital technology means that “watch industrialists in Hong Kong and southern China have a wealth of ideas for collaboration”. “In the watch industry, old technology is not taken over by new ones. Of course, scales change, but both technologies exist as valuable products,” he added. “So we continue to improve on old technology, while also addressing latest developments,” he said, reminding his peers it is always important to keep up with the times. Essential insights into new regulations regarding the rights to using the “Swiss-Made” label will be offered at a Forum seminar called “A Guide to the ‘Swiss-Made’ Label” on 6 September at 11am. The issue is of pressing importance to low-cost manufacturers in particular, since the label now requires at least 60 per cent of the value of a watch to be made, assembled and inspected in Switzerland before it can be labelled as “Swiss”. The previous labelling rule called for 50 per cent. In the eyes of Swiss regulators, more affordable brands producing ‘Swiss-Made’ watches are not upholding the implicit manufacturing standards expected of the traditional ‘royalty’ of watchmaking. Until now it has been entirely possible to produce a watch with an Asian case, dial, hands, crystals and strap, then purchase the movement or just some parts from Switzerland to qualify for a prestigious ‘Swiss-Made’ stamp on the dial. The new “Swiss-Made” regulation cracks down on this, requiring greater technical development in Switzerland, most contentiously the movement. With smartwatches included for the first time, significant upheaval of the industry surely lies ahead. At the Forum, a seminar presented by the Federation of the Swiss Watch Industry will involve its President, Dr Pasche, and Dr Yves Bugmann, head of the federation’s legal division. Joining what promises to be a lively discussion are Pascal Winkelmann of the Hong Kong Watch Manufacturers Association, Moses Leung of The Federation of Hong Kong Watch Trades & Industries, Shunhua Zhu of the Shenzhen Watch & Clock Association, and Mr Zhang of the China Horologe Association.